Respawn Entertainment’s Apex Legends is a fantastic game, easily the best interpretation of the Battle Royale format yet. For me personally, however, the best thing about Apex Legends is that it has resulted in a resurgence of interest in Titanfall 2. For those unaware, Titanfall 2 was the game Respawn made before Apex Legends. It performed poorly at launch, mainly because of an almost-complete absence of marketing from publisher EA, and a release window that sandwiched it between the two enormous slices of virtual bread that are Battlefield and Call of Duty. As a result, hardly anybody tasted the delicious filling Respawn Entertainment had carefully put together, and the game’s servers were down to just a few hundred players within months of the game’s launch. It’s an injustice, I say! A damned injustice! What-what. Because in both its single and multiplayer Titanfall 2 is the best FPS since the glory days of Valve. Specifically, it was the single-player campaign that surprised those who played it with its excellence. The original Titanfall was a multiplayer-only experience (although it did some interesting things trying to blend narrative storytelling into a multiplayer scenario). Modern multiplayer-centric shooters have established a trend of featuring crap single-player campaigns, so nobody really expected TF2 to be any different. 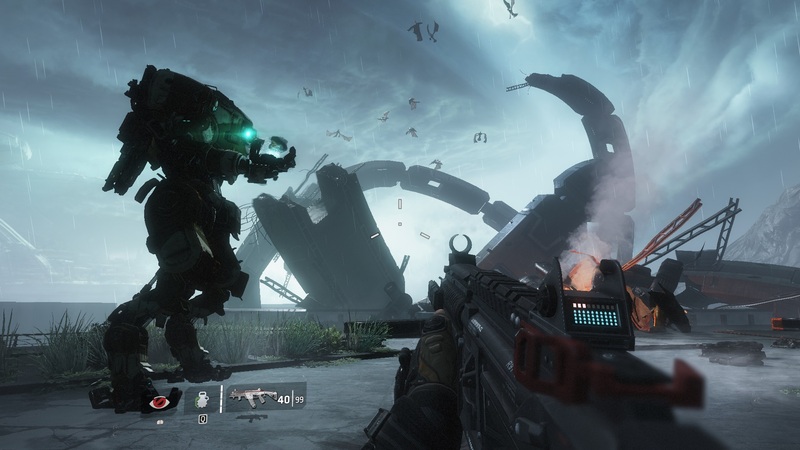 But Titanfall 2’s single-player was not just good but brilliant, the most clever and inventive single-player shooter since the mighty Half-Life 2. The mechanical core of the campaign is exciting in and of itself, dedicated to a roughly equal split between the human and mech combat that established in the first Titanfall. As a human Pilot, you’re basically a weaponised acrobat, able to run along walls, double jump with your jetpack, and perform ridiculously cool slides along the ground. 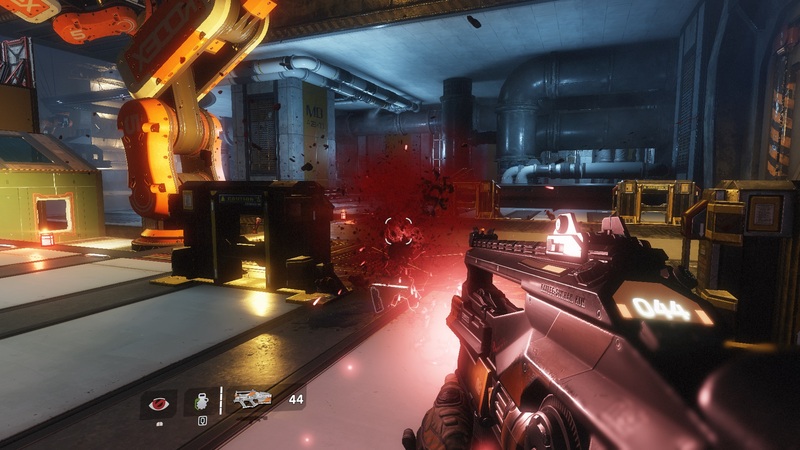 Respawn understands that a good shooter is as much about movement as it is satisfying weaponry, and even the most basic of Titanfall 2’s level are built around leaping from wall to wall, blasting enemies with rapid-fire machine pistols or devastatingly powerful shotguns. Pilot combat is only half the story, however. Roughly once per level you’ll need to jump into your Titan, a gigantic mech so tall and powerful that it can splat human enemies into jam with a punch from its massive metal fists. There are about eight different Titan loadouts available in the game, amounting to an impressive array of weapons and equipment. These range from gigantic machine-guns to quad-firing rocket launchers as well as a sword the size of an articulated lorry. There’s a vortex shield that absorbs enemy projectiles and fires them back with interest, and even an ability to set the ground on fire by punching it. That’s already more cool gadgets than the majority of shooters offer. But this is kid’s stuff for Titanfall 2. It’s a game that will give you feelings for your giant robot suit. The Titan you control in the campaign is far more than a simple machine; it’s also your main companion throughout the story. Named BT-7274 or BT for short, your Titan buddy is equipped not only with a bristling arsenal of devastating weapons but a wonderfully deadpan sense of humour and an overwhelming concern for your safety. 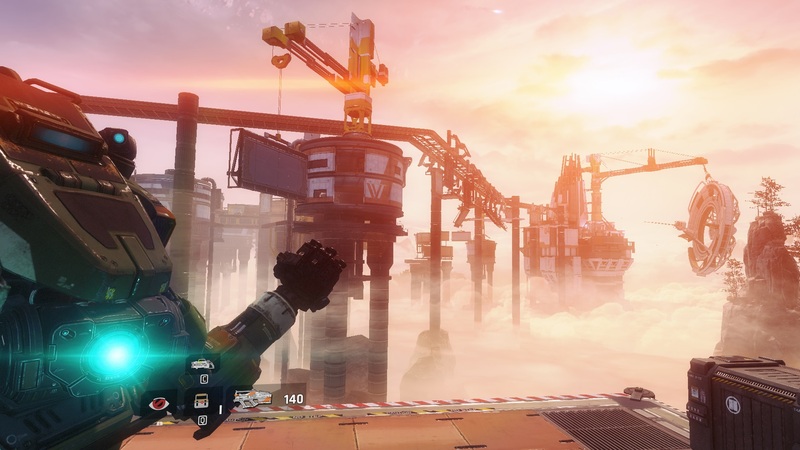 Where Titanfall 2 truly ascends to brilliance, however, is in its level and set-piece design. 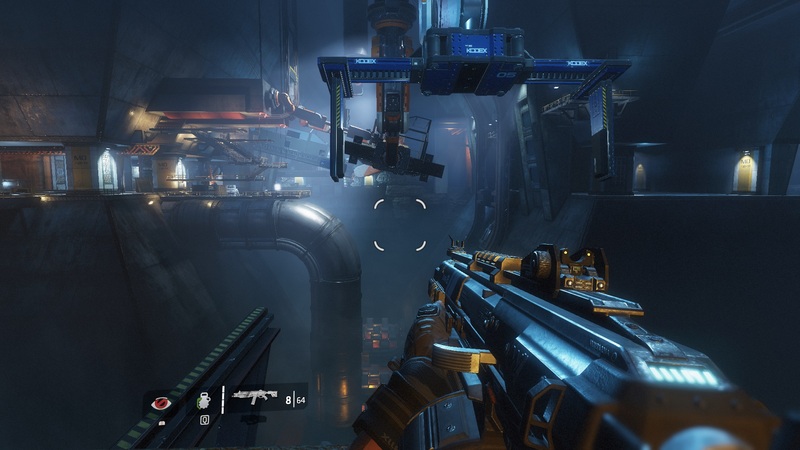 After a couple of introductory levels, Titanfall 2’s environments take a huge imaginative leap that puts them above almost every single-player shooter released in the last decade. This leap commences when you suddenly find yourself running and shooting your way through a gigantic factory assembly line, which constructs futuristic pre-fab housing around you as you progress. It’s an amazing thing simply to watch in motion, let alone leap and blast your way through. 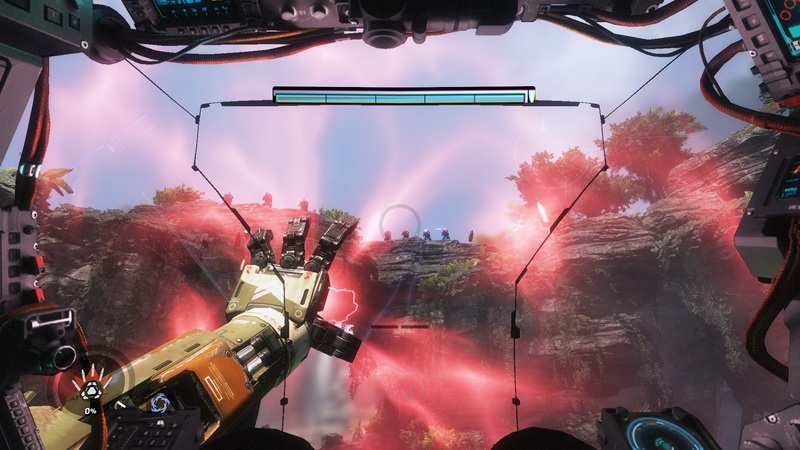 When you shoot an enemy in the face while jumping across a gap between two half-constructed houses suspended sideways in empty space, that’s the moment Titanfall 2 reveals itself as something special. The next level, Effect and Cause, is even more mind-boggling. It takes place at a scientific research facility which exploded and, in doing so, tore a hole in space and time. Consequently the whole area switches between present-day and a past version of itself moments before the explosion took place. You start out simply running through the two time-streams, but then you pick up a device that lets you switch between them at will. What results is a profoundly clever FPS sequence that lets you use time to escape from and get the upper hand on enemies. 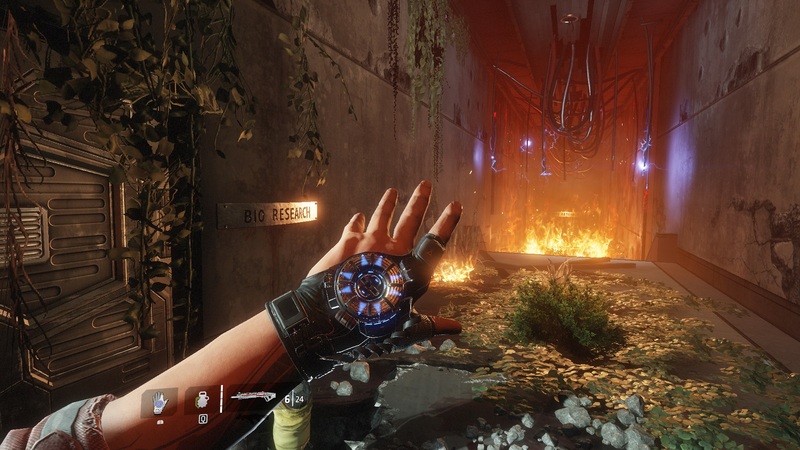 Moreover, Respawn constructs some spectacular platforming puzzles around the device. Some requiring you to run and jump between two walls that exist in separate time streams. It’s both astonishingly clever and utterly exhilarating. 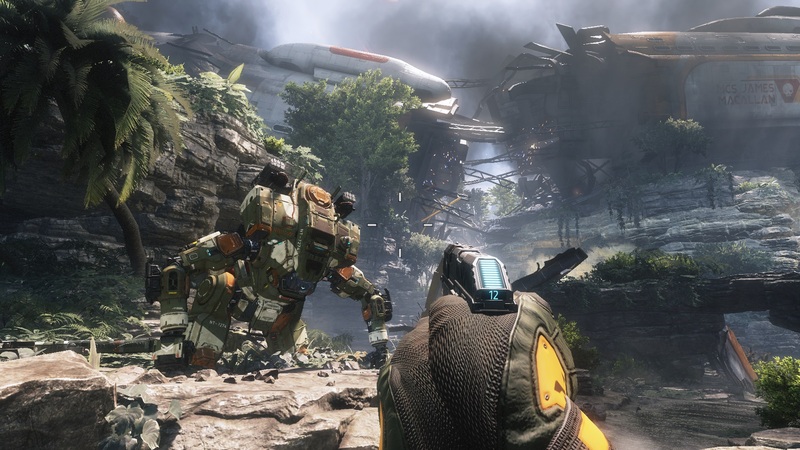 The second half of the campaign isn’t quite as innovative as the first, although it does include a level where you need to navigate across a giant fleet of starships as they’re flying above the planet’s surface, alongside a knockout final run that uses Titanfall’s auto-locking smart-pistol to superb effect. It’s worth pointing out amongst all this that the multiplayer is excellent too. It basically takes the framework established by the first game and attempts to make its structure a lot less predictable. The wider range of pilot weapons and Titan abilities means that battles tend to be more dynamic and surprising. It’s also amazing amounts of fun, a fantastic blend of both old and new FPS styles. The pilots move like old-fashioned deathmatch characters from games like Unreal Tournament and Quake III, but then you can call down a huge, hulking Titan from the sky for a whole other layer of combat. If you missed Titanfall 2 the first time around, then you should definitely consider picking it up now. The single-player campaign is more than worth the £6 that EA is currently charging for it, while the multiplayer is enjoying a rare second-life thanks to the success of Apex Legends. EA continues a streak of single-player success with Titanfall 2.